According to news agency Reuters, citing sources close to the talks, GE made an offer for [Adwen's] assets, which the company found "impossible to accept". As part of the merger between Siemens and Gamesa, announced on 17 June, the future of Gamesa's offshore joint venture with French firm Areva, Adwen, had been left unresolved. In June, Gamesa gave Areva three options to decide on the future of Adwen; sell its 50% stake to Gamesa, buy Gamesa's stake, or sell to a third party. Areva had three months to make a decision. This means GE has another two weeks to make an improved bid, should it want to continue its pursuit of Adwen. GE had for a long time avoided the offshore wind market. But in November 2015, it acquired the power business of French firm Alstom and, with it, the 6MW Haliade offshore turbine and a pipeline of around 2GW. In May 2016, Jérôme Pécresse, the CEO of GE Renewables — formed out of the merger with Alstom — reportedly said he wanted GE to become one of three major suppliers in offshore wind. But with only a 6MW turbine, GE is being left behind by rivals — Adwen, Siemens and MHI Vestas — which are now offering 8MW machines. 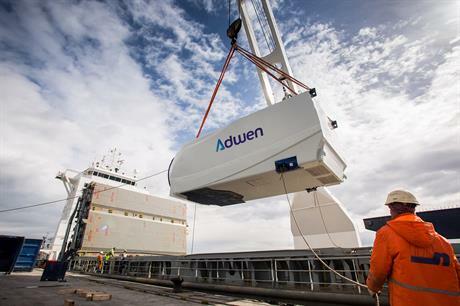 Adwen, not needed by Siemens, which dominated the offshore market in 2015, would give GE the technology boost and a further pipeline of just under 2GW. 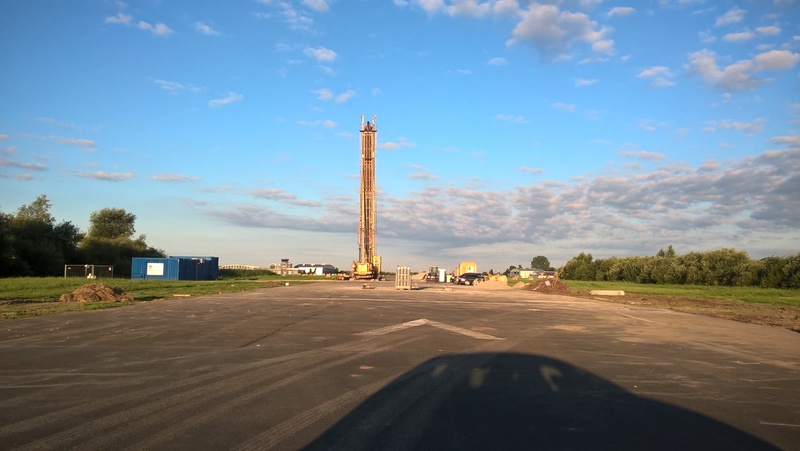 In late August, Adwen began construction of its AD 8-180 8MW prototype turbine at onshore site in Bremerhaven, northern Germany. The machine would be fitted with 88.4-metre blades, designed and manufactured by LM Wind Power and revealed in June.